Angus Kille has climbed an alarming number of hard, bold trad routes in the U.K. - and 8c sport routes to boot. He's based in Llanberis, North Wales, but has just spent three months in Spain, climbing and coaching in the sunshine. Find out what makes Angus tick through big leads and the headspace required. Which of your trad routes are more memorable? Are they onsights, headpoints, or a mix? [Angus has headpointed E9 routes like The Indian Face, Gribin Wall Climb and Rare Lichen, as well as climbing Trauma, Cassini and Nightmayer (all E8)]. It's a mixture, although headpoints tend to be more memorable because they are longer-term objectives and more time and obsession have gone into them. I've certainly had some really memorable onsights but I'm usually too focussed to recall much of the climbing itself, I might just remember one or two crux moves or a naughty runout. However I do usually remember the day as a whole, the people I was with and whatever went wrong on the lead. Your climbing has progressed very quickly, in the grand scheme of things. Very few people have sport and trad climbed to your level at your age. What do you think has helped this? Doesn't feel like I'm progressing too quickly but thanks! Although I've been climbing almost twelve years, I think most of my climbing progression has happened in just the past few years. Much of the breakthroughs in my climbing have come down to lifestyle changes: getting a car, doing really flexible work (and not much of it) and moving to North Wales. Arranging my life around climbing and constantly being in the company of much better climbers is pretty much my training plan. How was your experience of The Indian Face? Obviously the route itself, but also the surrounding publicity of your article? Sometimes, if you share a story, you lose the ‘personal’ part of it? Indian Face was one of the best climbing experiences of my life, for a lot of reasons. I actually waited a while before talking about it too much and by the time I had written that piece I was able to really get my head around it, so the account was personal but honest. 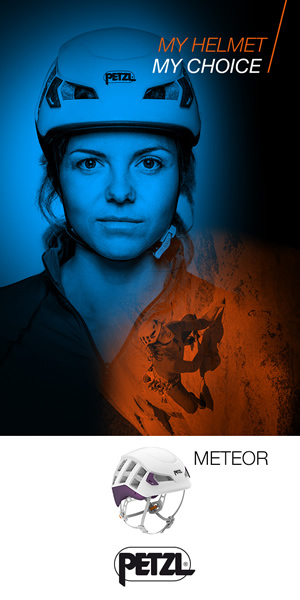 I don't consider myself an exceptional climber but by telling a story that's personal I can still do something unique. As it turned out, sharing the experience was really rewarding and quite worthwhile. I actually felt as if I were able to make more sense of it having been self observant, put it all into words and have friends, strangers and even a few of my heroes engage with it. When you headpoint routes, do you find yourself in a calm ‘bubble’ in terms of your mental state? Some climbers (like Charlie Woodburn) say they become very relaxed, perhaps something like a ‘flow’ state. What are you thinking on big leads? If you could take just one crag with you to a desert island, which would it be?! Does the Desert Island Crag have Desert Island Belayers? I think El Cap, because I wouldn't run out of things to do. I would need some pretty psyched fellow castaways though. Do you have future plans to go on an adventurous big wall trip? [Angus went on a big walling trip to Brazil in 2018]. Yes. No doubt I'll be on a big wall again although I have no solid plans yet. It depends on a number of things, chiefly money. Is it true you’re currently staying in a van called The Blue Liberator?! Yes although it's better known as the Blue Peril now, she's an absolute beast. If you see me at the crag, I will happily belay for food/showers.